Goodreads: Six years ago, ten-year-old Sophie Albright disappeared from a shopping mall. Her mother, Jesse, is left in a self-destructive limbo, haunted by memories of her intense and difficult child, who was obsessed with birds. Trapped in her grief and guilt, Jesse stumbles through her workdays at a bookstore and spends her off hours poring over Sophie’s bird journals or haunting the mall to search for the face of her missing child. When Star Silverman, Sophie’s best friend, starts working at the bookstore, Jesse is uncomfortable around the sarcastic teen, who is a constant reminder of her daughter. 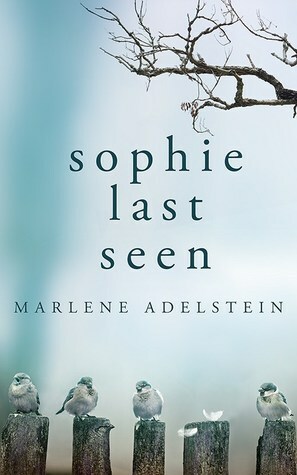 But Star has secrets of her own, and her childhood memories could be the key to solving Sophie’s disappearance. With help from Star and Kentucky “Tuck” Barnes, a private detective on the trail of another missing girl, Jesse may finally get some closure, one way or the other. Kritters Thoughts: This book is more than your typical missing kid story, but it took awhile to get to the good stuff. Sophie Albright went missing 6 years ago and her mother Jesse has spent every day since looking for her. A routine trip to the mall changed her and their family forever and she just wants an answer to what happened that day. There was a bit in the beginning that I was worried this book wasn't going to go anywhere much and was going to be just an emotional journey, but about 2/3 in it started going in a direction that was entertaining and interesting. I think the thing I liked the most was that when Jesse opened herself up to other people; i.e. her daughter's former friend Star she starts getting real clues that mean something and send her down a fruitful road. I was really hoping that we could see Jesse get some conclusions and I was so thankful no matter how it happened that she did. It was an interesting combo of an emotional journey and a who dun it mystery.